Trees can be a lovely addition to any lawn, and they can be useful too. They block sound, reducing noise by up to 40% and even cool the area through their evaporation. Trees are often a low maintenance addition as well. The do require some care, however, to grow and live a long, healthy life. It can be difficult to know what tree maintenance to perform, and what might be harmful, but these five tips should help. The Right Tree: If you want a tree that will live a long time with little work from you, be aware of the environment. First, plant a tree that naturally grows in the environment in which you live. Second, look at your yard for anything that might inhibit tree growth or be a hazard in late years, such as power lines. In those circumstances, choose a tree with a lower mature height. Consider the sunlight your yard receives as well since most trees will only thrive in an area that is at least 50% open to the sun. Mulch: Unless you live in a woodland area, it is important to mulch regularly to ensure tree health. Do not pile the mulch along the trunk of the tree, for it can cause disease and decay. Instead, start a few inches away from the tree, extending the mulch about three feet out in a layer between two and four inches deep. Water: Healthy trees require the equivalent of approximately one inch of rain every week to two weeks. If your area experiences a drought, that water must come from you, so be aware of how much water your tree has received. Dig Carefully: Most of the water absorbing roots are within the top six inches of soil, and they can extend two or even three times past the branches. Disturbing a tree’s roots can easily kill the tree, either immediately or slowly over the course of a few years, so be aware of the roots in any project that involves digging. Tree Trimming: When maintaining tree health, necessary pruning should be performed once a year during the dormant season. 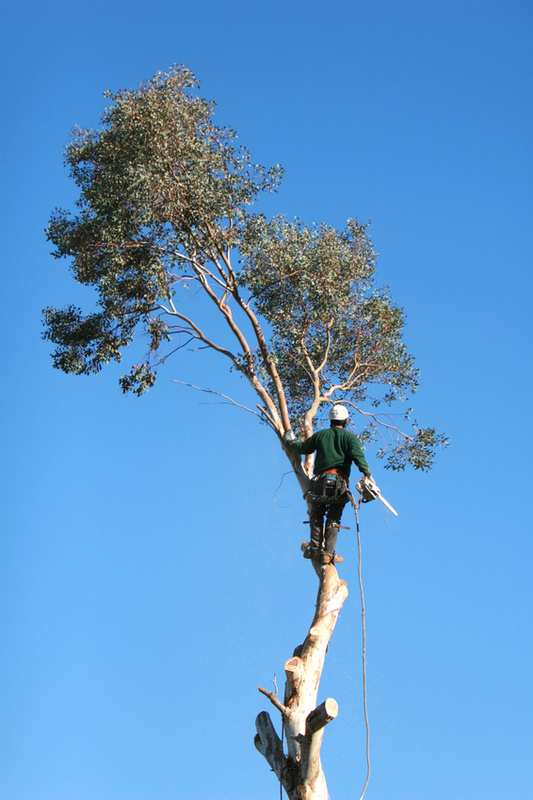 If you are unsure what needs cutting on your tree, it is best to have a licensed arborist, or tree specialist, come perform the work. Generally, mature trees require very little of their owners except to be left alone. With these five tips and an otherwise hands-off approach, your trees should grow beautifully.